14" x 25". Wooden two-headed drum with goatskin heads. Held horizontally, both heads are played with beaters. 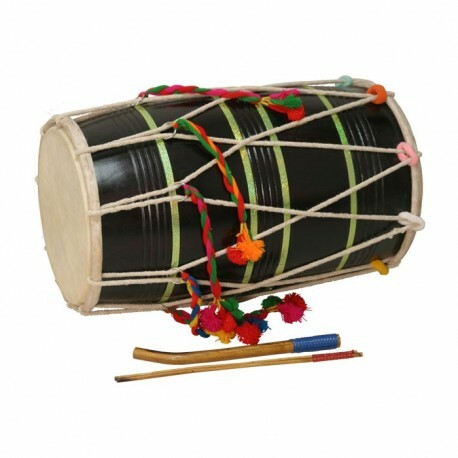 The dhol is used in folk music from the northern Indian State of Punjab. It provides the percussion for the popular Pujab folk dance called the Bhangra; which has now gained popularity across India. The shells are manufactured in the northern Indian State of Uttar Pradesh. There locally grown neem and rosewood are used. 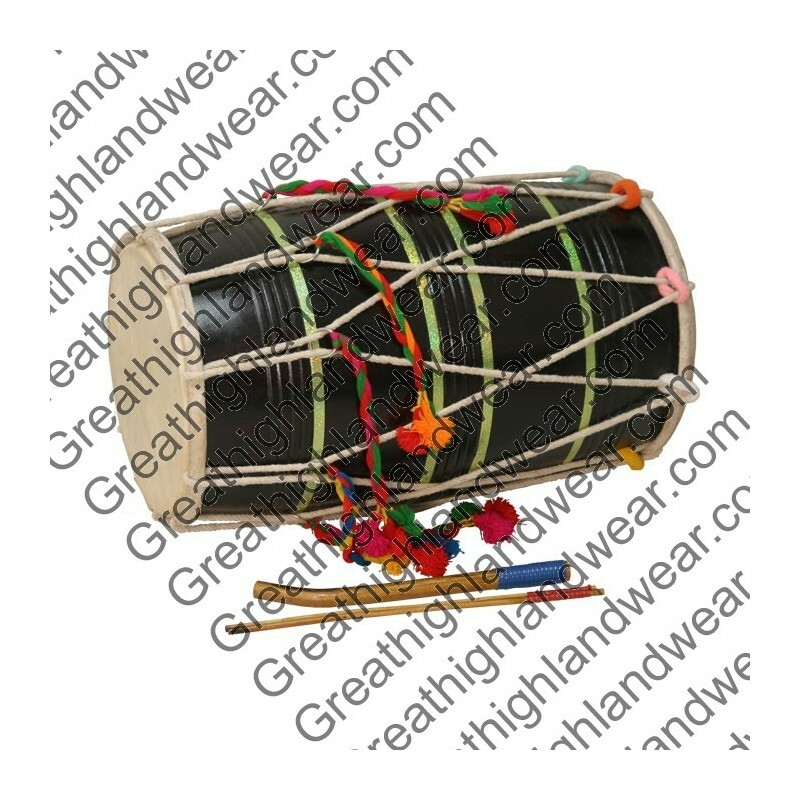 After transporting to Mumbai the goat skin heads are fitted to the drum shells with cords and rings for tuning. Beaters and soft case included.